It's not just a bike ride. 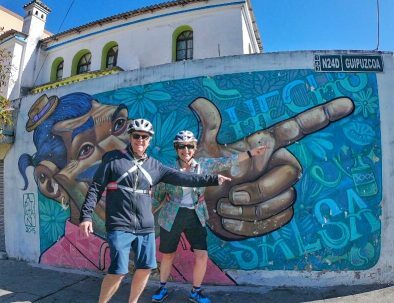 You will experience some amazing sights, local life, culture, markets, street art and of course the local food! 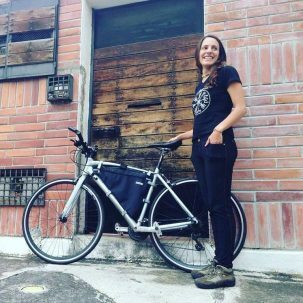 If the answer is yes, then ride with us to explore Quito on a bike whilst discovering its history, culture, hidden places and much much more. You’ll definitely meet great people and make new friends! 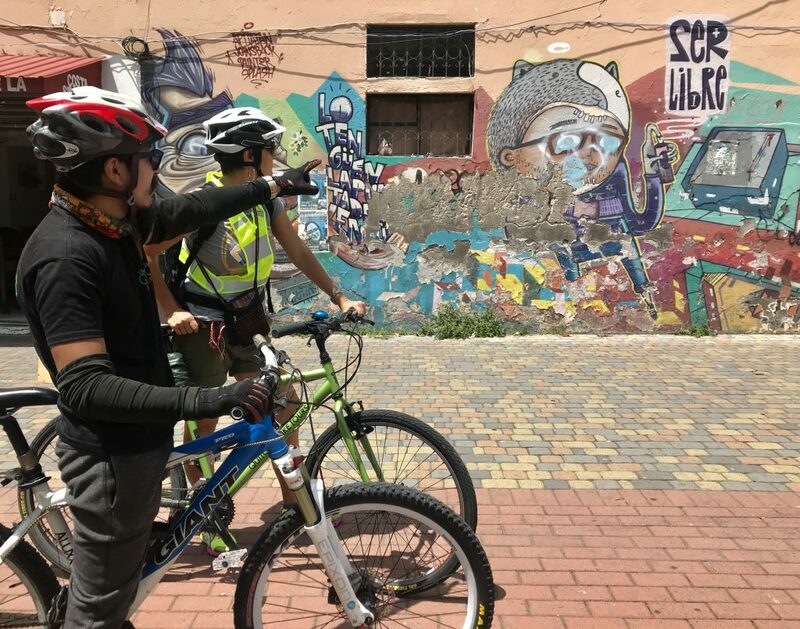 Experience Quito by riding with us as we showcase Ecuador and Quito’s amazing history and culture, whilst promoting the use of bicycles in the city, contributing to the mobility and sustainability of the people and the environment. 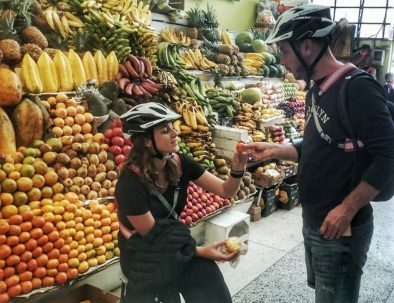 Quito Bike Tours … Ride on! 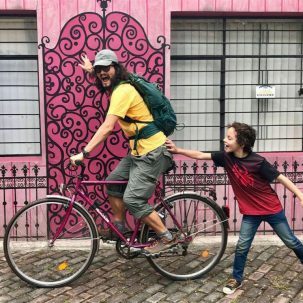 Urban bikes for the adventurer and explorer. 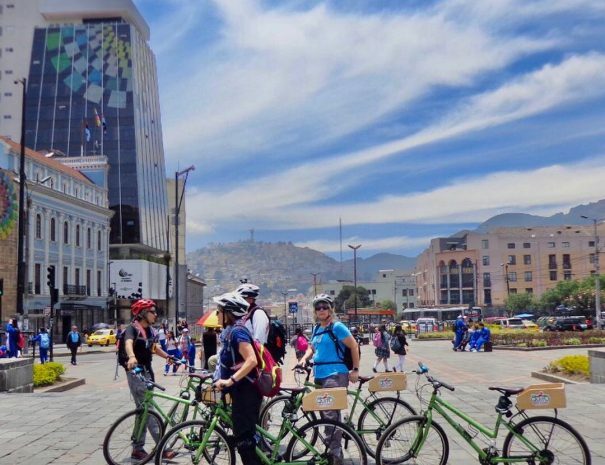 Explore Quito on your own and discover the hidden gems that this city has to offer. Come on, take one for a spin. 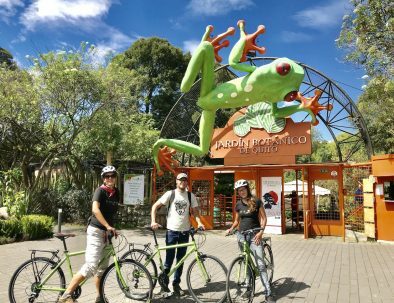 Select your bike tour and BOOK We offer group and private tours. We also offer custom-made tours. Contact us for more details. 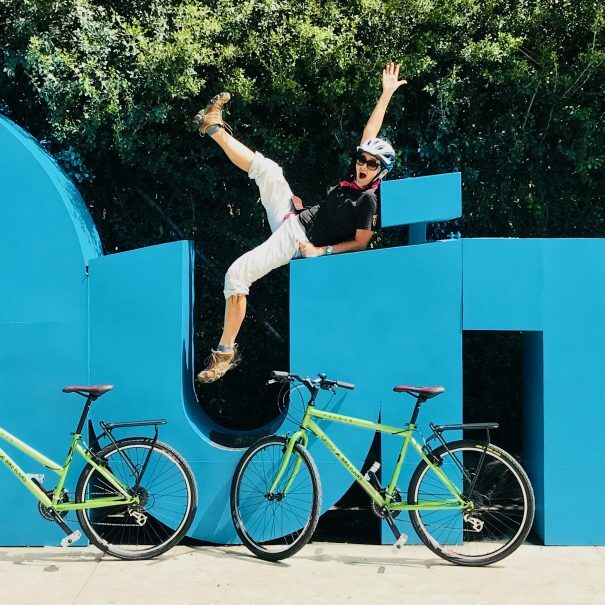 Do you prefer a personalised tour?… Go ahead and tell us how we can make your experience awesome! Positive Vibes, People, Places and Bikes. 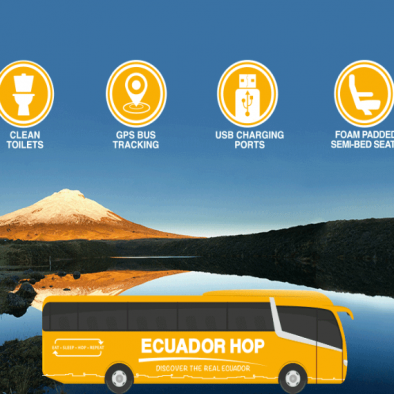 QUITO TOUR BUS: Hop On or Off anytime. Use your ticket for the CITY TOUR day or night! ...Explore one of the heights capital of the world! 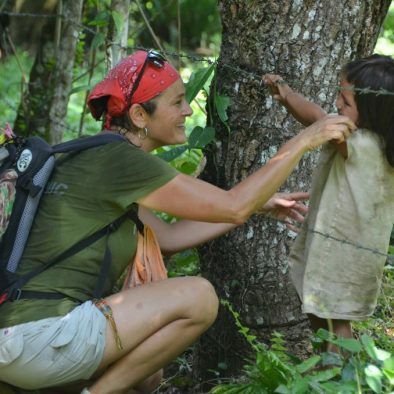 For those who love the freedom of travel Ecuador independently. Explore the highlights of Ecuador at your own rhythm. Super flexible service and experience + Optional day tours to make your trip awesome! We are happy to assist you as we are travellers ourselves. Drop by our shop in La Floresta Neighborhood or just give us a call! Book your tickets with us! 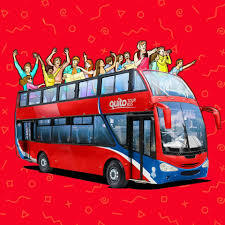 Discover the city aboard the official Quito double decker bus!. Day or Night! You can also experience a free walking tour of the Historical center daily! Included on your ticket. Available on Spotify in Spanish! 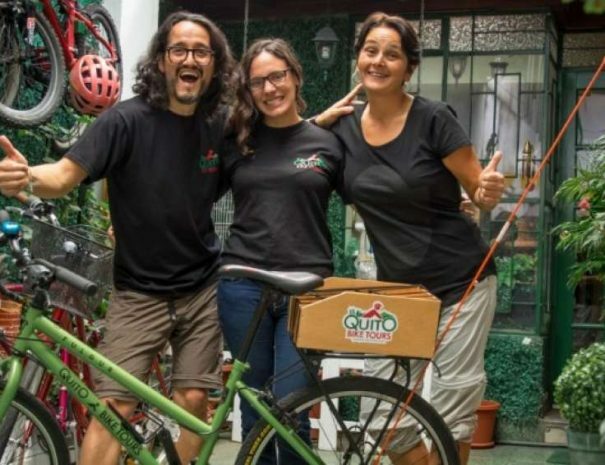 “En el barrio de La Floresta, al norte de Quito, la bicicleta es un instrumento indispensable, muchos la utilizan para trasladarse de un lugar a otro, ya sea dentro del mismo barrio, pero también para ir a sus trabajos, o para hacer deporte. 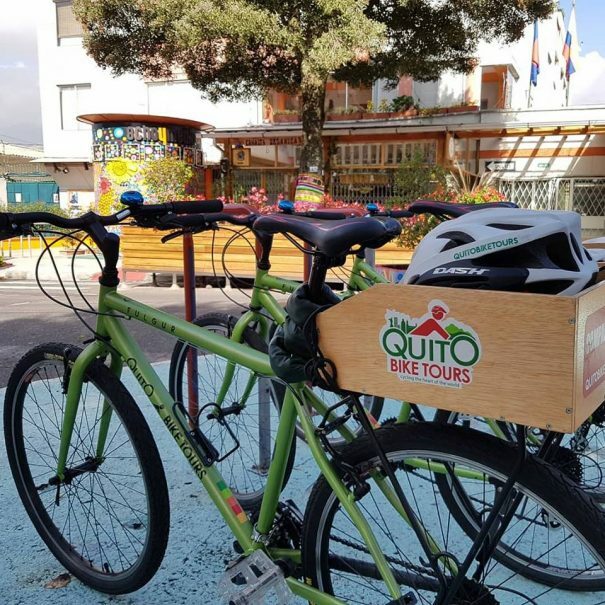 Recorridos turísticos en bici, una opción para redescubrir Quito. 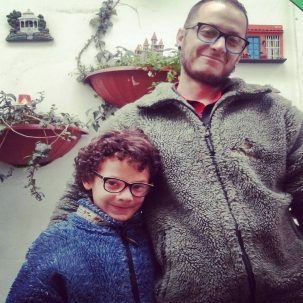 Fernando De la Torre, Andrea Baquero, Alex Benavides y Ombretta Zanetti son los mentalizadores de los recorridos y activistas por el respeto en las vías. Follow, connect, share, talk to us. Come on, don't be shy! Be social! "Amazing tour, great sights and awesome guides. I had a great time. 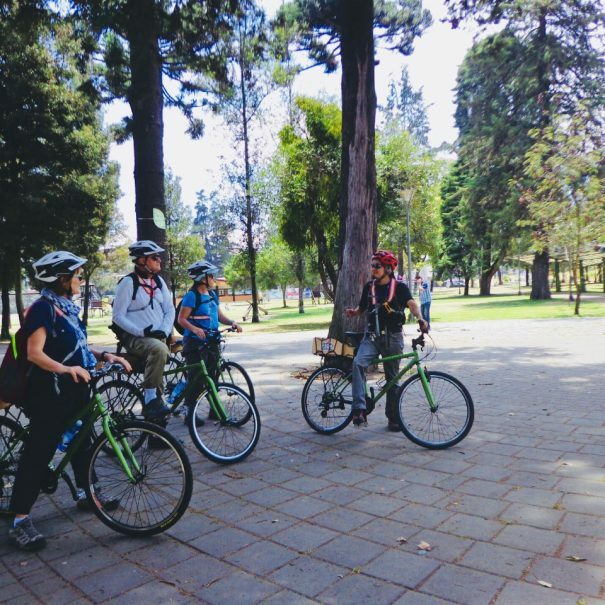 Small group easily accommodated by Quito Bike Tours."